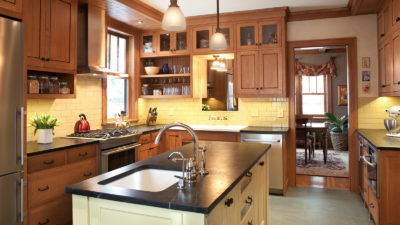 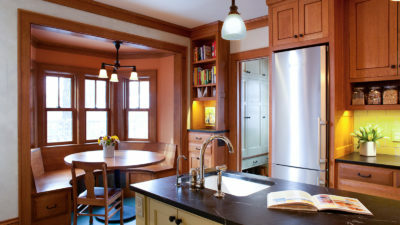 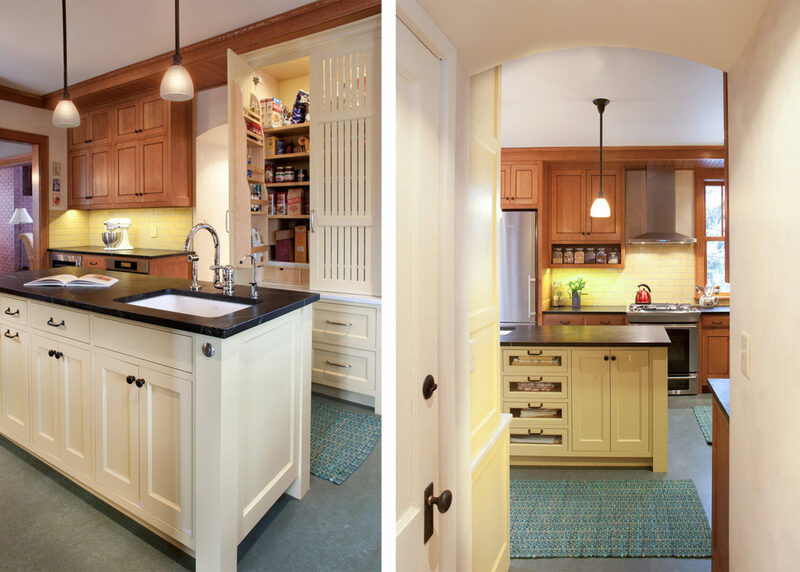 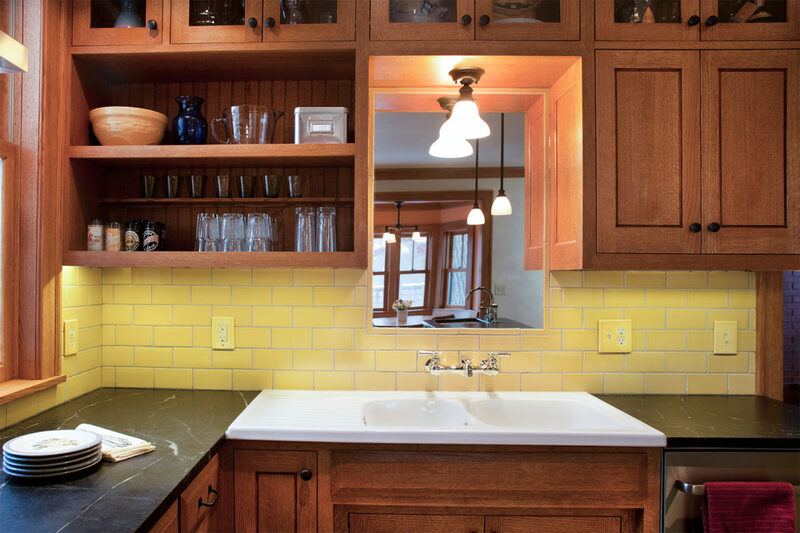 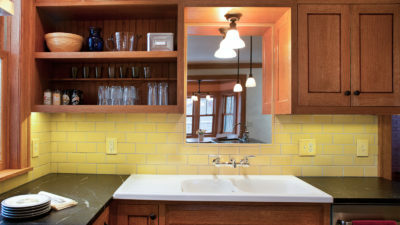 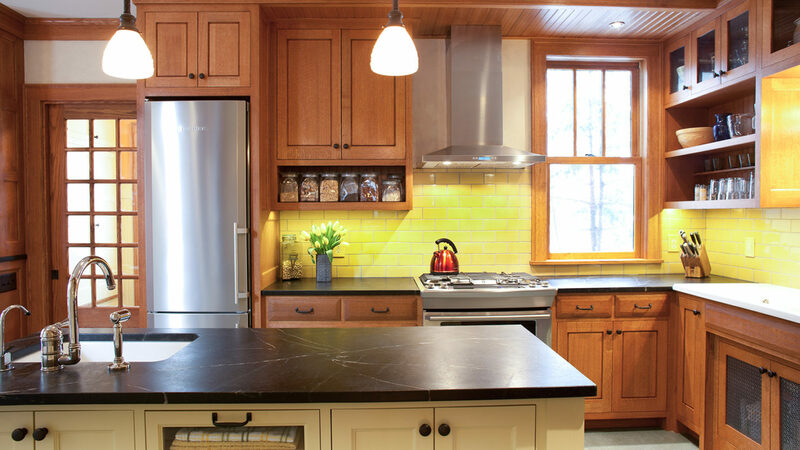 This smart, classic kitchen draws inspiration from the original Craftsman details of the house. 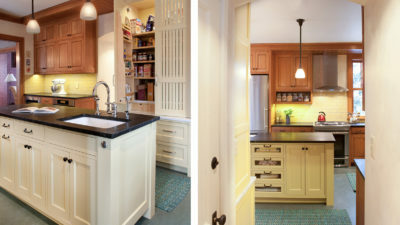 The kitchen was reconfigured to create more functional work zones and features a classic larder cabinet and smaller dueling fridges. 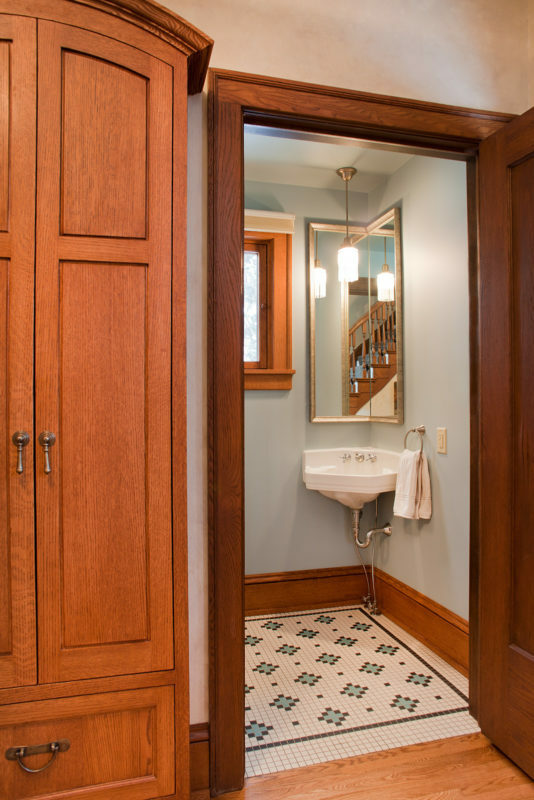 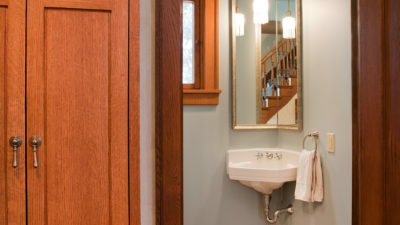 A powder room was relocated to make way for a convenient mudroom and laundry area off the kitchen.